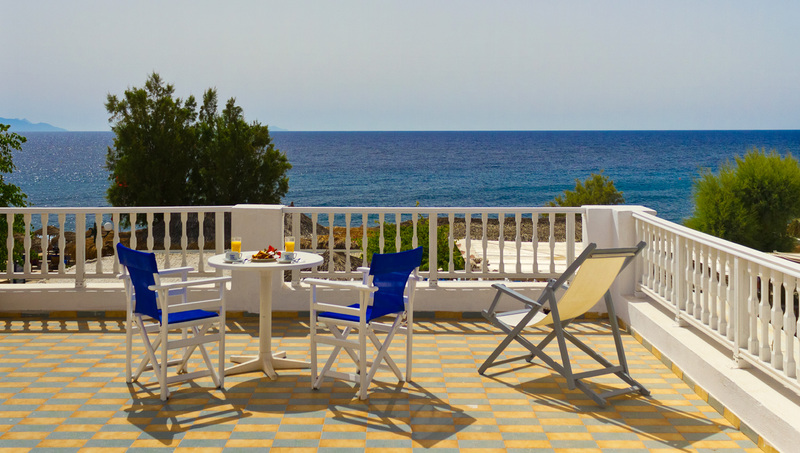 Dolphins Apartments has always been the perfect choice for your holidays. It is situated on the magical volcanic Black Beach of the coastal village of Kamari and overlooks the beautiful dark blue Aegean Sea. The astounding construction of the hotel has been primarily subjected to the traditional architecture. Therefore, it combines both beauty due to the privileged position (it lies in front of the beach) and excellence of luxury because of the individual comfort it offers (great room service). There are 20 apartments, which can accommodate from 2 people up to six, for each apartment. All of them have an exquisite view and direct access to the internal garden, which is full of greenery and overlooks the sea as well. The hotelier’s warm and discreet hospitality shall provide a wonderful sense of satisfaction. The staff, which offers its services, is always eager to please everyone’s needs, but, above all, to promote cleanliness on a daily basis of all apartments.